Cavities in Children: Are They Your Fault, and What Can You Do? 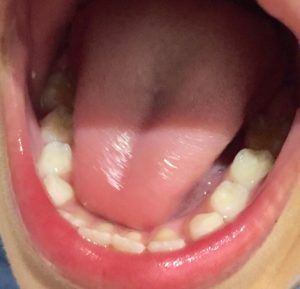 Comments Off on Cavities in Children: Are They Your Fault, and What Can You Do? 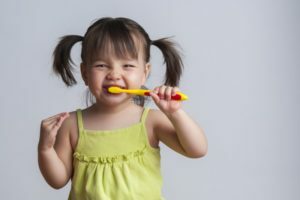 Getting your kids to take care of their oral health can be a real challenge, but did you know that good oral healthcare habits now will increase their chances of taking care of their teeth in the future? Thankfully, your pediatric dentist in Hinsdale has some simple yet beneficial oral healthcare tips that you can teach your children. That way, you can keep their pearly whites looking and feeling great while setting them up for oral health success down the road. 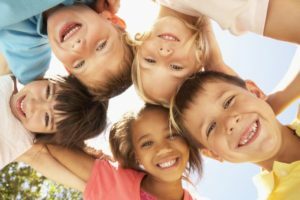 Pediatric Dentist in Hinsdale Gives Top 5 Ways To Prevent Holiday Cavities! Every year from Halloween through Christmas, there are endless candies, sweet treats and desserts around that make the season feel fun and festive for kids and adults alike. But, unfortunately, all that sugar can really wreak havoc on your child’s oral health. 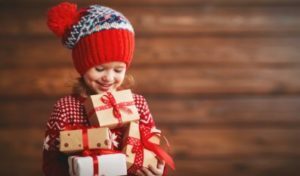 Fortunately, with a few tips and tricks they can still enjoy the holidays without needing major dental work from a pediatric dentist in Hinsdale. Keep reading for 5 tips to make sure their smiles stay healthy this holiday season! 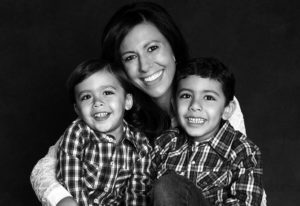 Comments Off on Pediatric Dentist in Hinsdale Gives Top 5 Ways To Prevent Holiday Cavities! It’s important to treat cavities before they lead to more serious issues, but do you know what’s even better than that? The ability to prevent cavities in the first place. That’s where fluoride comes in! Fluoride is a natural mineral that can protect your children’s teeth against cavities and decay (which young ones are extremely susceptible to). Keep reading to learn about this tooth defending chemical and its benefits from your pediatric dentist in Hinsdale. 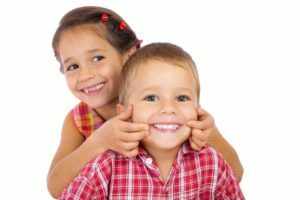 When Should I Bring My Child to Their Pediatric Dentist in Hinsdale? It surprises many parents when their dentist tells them that infants are highly susceptible to tooth decay. For this reason, we recommend that they bring in their child as soon as teeth erupt. Once they do, they’ll be vulnerable to bacteria and can start developing decay. 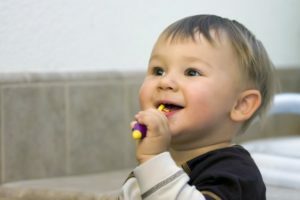 In today’s post, we’ll discuss the risk of early tooth decay, what you can expect from your child’s first visit, and explain why seeing a pediatric dentist in Hinsdale is the best option for their oral development! 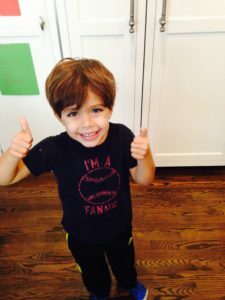 Comments Off on When Should I Bring My Child to Their Pediatric Dentist in Hinsdale? Brush My Teeth With A Carrot…Say What? We’ve all been there. 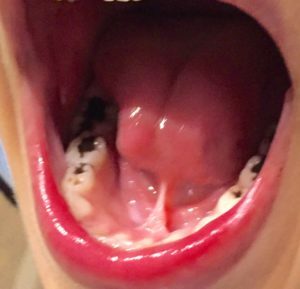 We’ve all had an Oreo™ caked in the grooves of our back molars, even after brushing. What gives? If you haven’t had this experience then now is the chance for an experiment that will win you some major brownie points with your kids. Here’s the secret on how to quickly get these yummy, but sticky snacks off of your teeth… carrot sticks. Yes, carrot sticks. I call them nature’s-on-the-go-toothbrush. Carrots are like kryptonite to sticky carbs on the teeth and can remove trapped food from the grooves of molars quicker than any toothbrush out there. You can prove this to your children by having one kiddo eat a carrot and either you or another kiddo brush post-Oreo consumption! Still don’t believe me? Check out the attached TMI, semi-gross photos of my very own child doing this experiment at home. Now remember, I’m not claiming we can all throw away our toothbrushes—it’s still critical to brush your children’s teeth 2 minutes twice per day with a fluoride-containing toothpaste. But this little “crunchy carrot” aid can really help clear the mouth of carbs that decay-causing bacteria utilize to produce harmful acids when you are on the run. And these days, find me a mom who isn’t on the run! Anyway, I’m first to admit that it is nearly impossible to control every single thing my 9- and 7-year-old boys consume—including Oreos™, cheddar crackers and worse. And I’m at the point where I don’t think I want to. So far, they are cavity free, and I’m going to share a few tips that I am confident have led to this. But first I’m going to also share that my goal is to set my kids up with the knowledge to make good decisions about their oral health and their overall health. I will always be a guide and certainly say “yes” and “heck no” here and there, but I want to raise kids who are capable of making good decisions. This approach is time consuming, challenging and requires giving up some control, but I think it’s a step in the right direction toward raising independent human beings. Here’s the deal: Nearly 1 in 3 children ages 2-5 in in this country suffer from dental decay. This is a big problem because dental decay can lead to pain and infection, and it’s responsible for nearly 50 million lost school and work hours each year. But the good news is that it is by and large preventable. The first thing ALL parents need to do is establish a dental home by age 1, preferably with a board-certified pediatric dentist. This home will be where you will pick up all the knowledge you need to help your children avoid dental decay. It will also serve as a place to go in case of emergencies—trust me, kids have dental emergencies all the time and you don’t want to end up in the ER if you can consult with your trusted pediatric dentist. You may wonder what the point of this early visit is if your kid only has a few teeth—but knowledge is power and that’s the point of the visit. More on this topic in another post. Anyway, I would love to impart all of my tooth knowledge to you and eradicate childhood cavities. How cool would that be?! However, I’d like to let you know that it’s ok if your child develops a cavity and how best to deal with it. 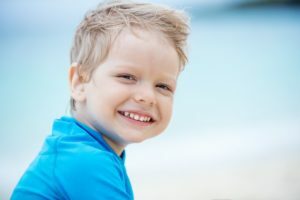 I want to help you understand why you are seeing some 3rd and 4th graders in braces and how prolonged pacifier use can lead to speech issues as well as orthodontic problems. We can talk more about prevention and sports safety. We can talk bleaching, cosmetics, and about other dental materials. Until next time! Comments Off on Brush My Teeth With A Carrot…Say What? This Summer, Take Brush on Vacation with You! It’s already June, and things are starting to heat up here in Hinsdale. We hope you and your family are looking forward to a great summer! Are you going anywhere fun? It doesn’t matter if it’s to the next town over or halfway around the world — we want to come along! 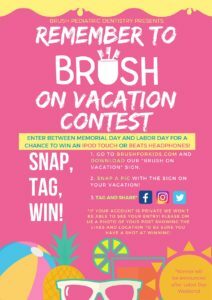 To celebrate June, July, and August, your pediatric dentist in Hinsdale is running a fun contest that we’re calling Brush on Vacation — and we can’t wait to see where you take us! Comments Off on This Summer, Take Brush on Vacation with You!